Over the years I have suffered many days and weeks..years in fact as I am sure many Christians have. The suffering I refer to is in the mind as a result of putting self down when we fall or think we have failed in some way. 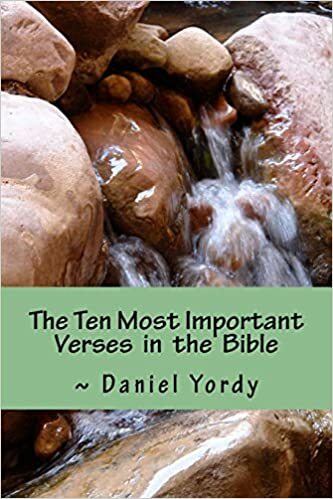 The world and most of the Church will step in to give a 10 point sermon on how to succeed as a Christian….how to please God in 10 easy lessons. I hear a lot of my brothers and sisters sincerely wanting to become more surrendered to God. Others speak about wanting to have the evil in their hearts totally cleansed..again through surrender…or maybe obedience..or praying more..worshiping more etc etc. I have spent years doing those kinds of things. And it was not without encouragement! Many times I would go to a service and hear the preacher speaking about “surrender to God”. The main idea behind the surrender theme is that we are somehow still an enemy of God..some hidden part of our heart is still in rebellion against Him. Once the preacher brings the people to some place where they are sufficiently filled with doubt about something they have done then he gives an altar call to somehow deal with this rebellion. The poor wretch goes forward publicly acknowledging his un-surrendered heart in front of every one else. Secretly he may feel that every one else is too proud to acknowledge their own rebelliousness. Or he genuinely believes he is not fully surrendered to the Lord and he breaks and cries over something or another. He gets prayer and finds that nothing has changed with him, he still feels like he is not surrendered to God, still rebellious, still feels condemned. What is all this about? It is about a mix of things. Those who preach to born again Christians that they are in rebellion to God are sadly being used as the mouthpiece of Satan. They mean well and God uses all this to bring us on in Him. Why does any preacher preach that the saved ones are in rebellion? For one thing, that preacher has a sin mentality or sin consciousness instead of a Jesus’ blood consciousness. It could be that the pastor wants more money in the offering or more souls invited to his services etc so he preaches surrender. Telling folk they need to surrender to God without clearly naming what they are in rebellion about is just a way of keeping them under control. Preachers who think that they have surrendered their lives to Christ will tell everyone else that they must do the same. There is a surrendering to God of course…but God does not demand we surrender using any condemnation at all. God’s surrender in the new covenant is to believe what He says about you is true. Instead of believing what God does not say about you, how about choosing to believe what God does say about you. Belief always involves speaking that belief. The Accuser of the brethren- Lucifer, the Devil, the Dragon, the Serpent, the spirit that now works in the sons of disobedience has got most of us running around in circles. He has successfully bewitched many Christians just like he did to the Galatians years ago. He accuses us before the throne of God day and night. That throne is not up in heaven but is your heart! That evil spirit comes stealthily to us to remind us of our failings, our lack of obedience, our shortcomings as a parent or a son or daughter husband or wife. He will set us up one day by suggesting in our mind that we witness to that person at work…then when we do not do it he accuses and condemns. He may whisper to you if you are single that the reason you are single is because you are not surrendered fully to God. So you determine in your mind to pray more, read more, go to the night service as well as the morning service, tithe, even give offerings, say amen to the preaching more, lift your hands higher in worship, dance before the Lord even! Some may laugh at these things but this is life for many. Tormented by the Devil, being run around from pillar to post trying to be more surrendered to God. Some think that there is something wrong with their heart which they must get God to deal with. I am speaking all this from personal experience. I want to tell you that there is nothing evil in your heart. There is no need to surrender to God. You already did that when you first believed in Jesus Christ. God put you to death on the cross – you HAVE died….you HAVE been crucified with Christ. It is a past tense event that God says HAS HAPPENED TO YOU. Believe it….speak in agreement with His word about you. You died and furthermore ARE RISEN with Christ and ARE right now seated with Him in heavenly places in Christ Jesus. God says about you that you are COMPLETE in Christ Who is the head of all principality and power. There is nothing to surrender to God because all that was sin has been crucified and buried with Christ. There is nothing wrong with your heart for your heart is the very heart of Jesus Christ! Is there anything wrong with Jesus’ heart? The Accuser will attack what I am saying here in order to keep you on the treadmill of religion….to keep you setting aside the grace of God. Believe what God says about you…that is surrender and that is what puts the Accuser to flight.